PRL Glass Systems manufactures elegant stainless steel or brass Clad Full Framed Entrance Door Systems as a luxurious alternate to our standard storefront systems. Our doors are available with 3″ narrow stiles, 4″ medium stiles or 5-1/2″ wide stiles, as well as our very narrow 1-3/16″ or ¾” solid vertical I-line stiles. All clad storefront doors are custom manufactured to suit your design and hardware requirements. Thicker aluminum extrusions allow us to provide larger doors with thicker glass. We can accommodate glass from ¼” to 1″ thick and anything in between. Our unique doors are designed without visible glass stops to provide a clean, “minimal seam” look. They ship fully glazed, prepped and assembled, ready to install. A full line of center hung or offset hardware is available in stock including heavy duty closer, pivots, locking or panic hardware and handles. 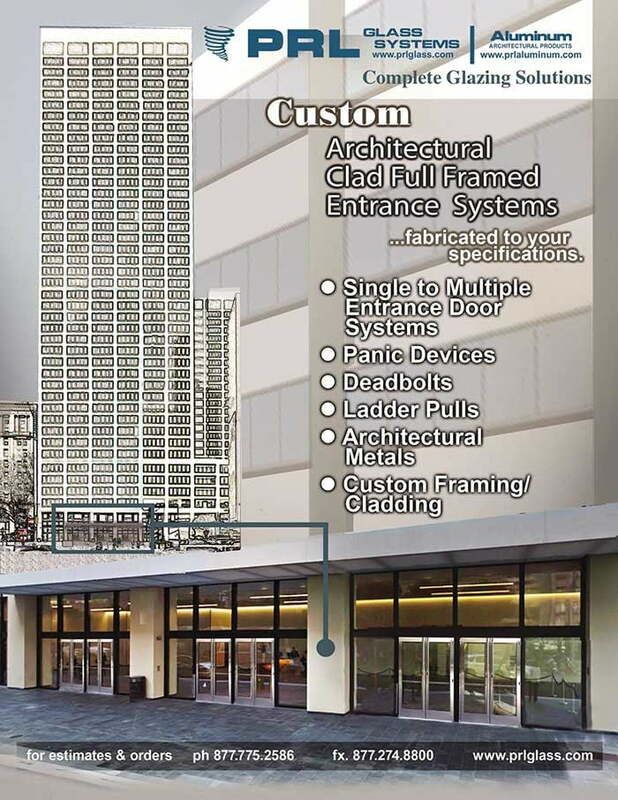 We welcome requests for custom door designs such as horizontal or vertical grids, special metal finishes, metal infill panels or custom types of laminated/insulated glass. 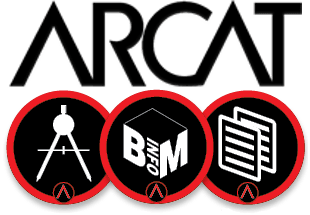 Related framing, including complete storefront or curtain wall systems can be provided along with the door package and all related glazing. PRL provides high quality complete entry systems, made in the USA, with the fastest lead times in the industry, delivered and ready to install. Please contact our experienced staff for assistance.